Many Christians probably know it’s good to give at least 10 percent of their income to the Lord. What many don’t know is how to correctly handle the other 90 percent. You might say, “Oh, yes, I do.” But statistically, most Americans - including Christian Americans - are living from paycheck to paycheck. Why aren’t they prospering? It’s because what they’re doing really doesn’t make a lick of “cents.” I know that’s a play on words, but my point is that many people don’t even know how to prosper. I don’t believe the problem is a shortage of money for many of us. Rather, it’s a shortage of using that money correctly that’s the problem. That’s because a lot of us look at the Word and see how to live a spiritual life, how to pray, and how to treat people, but we don’t see how the Word applies to finances. And yet the Word has more to say on finances than it does on anything. One of the things the Scriptures center on is that God is your source. Not your job. I know that may come as a shock to you. But as long as you see your job as your primary source of income, you will never prosper. Now, I’m not telling you to quit your job and not work. God will use your job. The Bible says, “If any would not work, neither should he eat” (2 Thess. 3:10). But what I’m saying is to not limit God to supplying only through your job. You can have multiple streams of income in your life! Instead of looking to your job for a promotion or for benefits, look to God. He can give you a creative idea that will cause you to abound. Let me give you a personal illustration that I think will help. Last year the Lord was speaking to me through 2 Kings 4:1-7, the story of the widow woman who owed money to creditors. These creditors were threatening to take her sons and make them slaves until they worked off the debt. This was a terrible situation, unlike any you may have faced. She went to the prophet Elisha for help, and he asked her, “What do you have?” She said, “All I’ve got is a little bit of oil.” Elisha told her to get as many vessels as she could find. As the story goes, this lady gathered the vessels from her house and even borrowed some from her neighbors. She filled each one with the oil she had, and when she ran out of vessels, the oil stopped. It was supernatural! The Lord told me that, as a ministry, we have things in our hands that could reach more people. So, I called all of our executive team together, and there were some great ideas that came up. One of them was to make an infomercial with our Healing Journeys. So, we started running those. I just got reports from all the companies that put these infomercials on social media, and they have never seen the response that we’re getting. It’s been huge! Here’s something that we had in our hands, and people are being ministered to - more people than before. You see, God is your source. And He is not a respecter of persons (Rom. 2:11). Don’t limit Him. He can give you a creative idea that could change your life in a heartbeat. 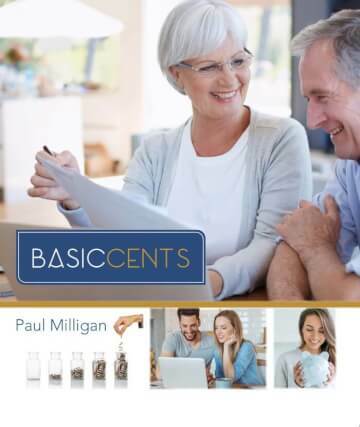 My friend and CEO, Paul Milligan, has a teaching called Basic Cents where he talks about three levels of income that you need to have in your life. The first is the money you work for, your job. That’s the level that every person needs to start at. Once you can start leveraging your money to create wealth, you’ve reached the second level. And it’s there your money begins working for you, like an investment. The third level is money that works without you. That’s where you have revenue coming in from something you don’t even have to manage. Few people, especially Christians, ever get there. But I tell you, the Lord wants you to prosper (3 John 2). As you move up through the levels of income, your finances will expand and grow. Paul Milligan’s teaching is designed to help you do that. It’s time that we as Christians stop bringing up the rear in the financial realm. There are financial tools and educationmavailable almost anywhere, but Basic Cents is unique. The teaching portion contains six to seven hours of Christian principles on topics like stewardship, investment, and the three levels of income. In addition, it comes with six months of access to web-based software that will help you manage your money properly. And if you get the entire Basic Cents Package, you will also receive my Living in God’s Best and Financial Stewardship books, along with the CD and DVD of What’s in Your Hand? These tools will help you start generating the finances God wants you to have. To order the Basic Cents teaching or package, go to our website: www.awme.net, call our Helpline: +44 (0)1922 473 300. Get these materials today. You will be blessed!